If you or a loved one has taken Byetta and has been diagnosed with thyroid cancer or pancreatic cancer, please feel free to contact Byetta Thyroid Cancer Lawyer, Byetta Cancer Lawyer, and Byetta Pancreatic Cancer Lawyer Jason Coomer a Texas lawyer, or use our online submission form. The prognosis for any individual with thyroid cancer depends on several factors. These include the type of thyroid cancer, the tumor size, whether the disease has spread (metastasized) to other parts of the body (especially distant sites), and the patientsâ€™ age at the time of diagnosis. Thyroid cancer is usually highly treatable when found early and is usually painless and without symptoms in its early stages. Unless there is an obvious neck mass that can be seen, most nodules are detected by chance during a routine physical examination or during a doctor visit for an unrelated purpose. Papillary and follicular thyroid cancers are referred to as differentiated thyroid cancer, which means that the cancer cells look and act in some respects like normal thyroid cells. Papillary and follicular thyroid cancers account for more than 90% of all thyroid cancers. They tend to grow very slowly. Their variants include columnar, diffuse sclerosing, follicular variant of papillary, HÃ¼rthlecell, and tall cell. Two other variants (insular and solid/trabecular) are considered to be intermediate between differentiated thyroid cancer and poorly differentiated thyroid cancer. The variants tend to grow and spread more than typical papillary cancer. The most common variant of papillary is the follicular variant (not to be confused with follicular thyroid cancer). It accounts for about 10-15% of all thyroid cancers and usually grows very slowly. Other variants of papillary thyroid cancer (columnar, diffuse sclerosing, and tall cell) are not as common and tend to grow and spread more quickly. HÃ¼rthle cell thyroid cancer is a variant of follicular. Follicular thyroid cancers usually do not spread to the lymph nodes, but in some cases can spread to other parts of the body, such as the lungs or bones. Treatment for follicular thyroid cancer is similar to treatment for papillary. HÃ¼rthle cell cancer (also known as oncocytic or oxyphilic) is less likely than other differentiated thyroid cancer to absorb radioactive iodine, which is often used for the treatment of differentiated thyroid cancer. Medullary thyroid cancer (MTC) accounts for 5-7 % of all thyroid cancers. It develops in the C cells of the thyroid gland. It is easier to treat and control if found before it spreads to other parts of the body. Sometimes it spreads before a thyroid nodule is discovered. The two types of medullary thyroid cancer are sporadic and familial. Sporadic MTC is diagnosed in approximately 80% of all MTC cases and occurs in individuals without an identifiable family history. Familial MTC may be associated with hypercalcemia and adrenal tumors (i.e., pheochromocytoma). Genetic testing should be done for all people diagnosed with medullary thyroid cancer. Genetic testing is considered the standard of care and is not a research test. If it is determined that the patient has familial medullary thyroid cancer, the immediate family members should be tested to determine whether there are genetic factors that can predict the development of MTC. Those with a familial history of Medullary thyroid cancer are advised to NOT take the drug Byetta due to the increased risk of thyroid cancer in patients taking Byetta. Medullary thyroid cancer does not have the ability to absorb iodine. Because of this, radioactive iodine treatment should not be used to treat MTC. The treatment for MTC is surgery and the long-term prognosis is not as positive as for differentiated thyroid cancer. However, in recent years, newer medicines have been tested in clinical trials and show promise for treating medullary thyroid cancer that is progressing. Anaplastic thyroid carcinoma(ATC) is the least common type of thyroid cancer. It accounts for only 1â€“2% of all thyroid cancers and is seen more commonly in people over age 60 than in younger people. In many people, it is seen together with other forms of thyroid cancer, including differentiated thyroid cancer. Anaplastic thyroid cancer is also referred to as undifferentiated thyroid cancer. This means that the cells do not look or behave like normal thyroid cells. As a result, these tumors are resistant to radioactive iodine. This rarest type of thyroid cancer is difficult to control and treat because it is very aggressive and can spread rapidly within the neck and to other parts of the body. As part of our ongoing efforts to keep you informed, we want to make you aware of recent safety information for Byetta, an anti-diabetic drug. On October 30, 2009, FDA approved a Risk Evaluation and Mitigation Strategy (REMS) for Byetta. The REMS was part of an approval for a new indication of Byetta to be used as an adjunct to diet and exercise to improve glycemic control in adults with type 2 diabetes mellitus. Previously Byetta was only approved for use in combination with other anti-diabetic drugs. The REMS is the result of new safety information associated with the use of Byetta, including postmarketing reports of acute pancreatitis and altered kidney function. Acute pancreatitis was previously listed in the prescribing information for Byetta, but more severe forms of pancreatitis, including hemorrhagic and necrotizing pancreatitis, have been reported to FDA since the initial label update. FDA issued safety communications on these adverse event reports in 2007 (acute pancreatitis), 2008 (hemorrhagic and necrotizing pancreatitis) and 2009 (altered kidney function). Over 7 million prescriptions for Byetta have been dispensed since it was first approved by FDA in 2005. Therefore, while these adverse events are very serious, the number of reported cases of acute pancreatitis, hemorrhagic and necrotizing pancreatitis, and altered kidney function represent a small percentage of the total number of patients who have used Byetta. Additionally, the sponsor, Amylin Pharmaceuticals Inc, is being required to conduct six post-marketing studies (Postmarketing Requirements [PMRs]) to help further define the mechanism, incidence, and risk factors for the development of acute pancreatitis, including hemorrhagic and necrotizing pancreatitis, associated with the use of Byetta, as well as to explore a potential signal of a serious risk of thyroid cancer and pancreatic cancer. More than 300 million people worldwide suffer from diabetes, including nearly 26 million Americans. The global market for products in the management of diabetes currently stands at $41 billion and is on pace to grow to over $114 billion by 2018. Byetta was the first glucagon-like peptide-1 (GLP-1) receptor agonist to be approved by the FDA for the treatment of type 2 diabetes. Byetta exhibits many of the same effects as the human incretin hormone GLP-1. GLP-1 improves blood sugar after food intake through multiple effects that work in concert on the stomach, liver, pancreas and brain. Byetta was approved in the U.S. in April 2005 and in Europe in November 2006 and has been used by more than 1.8 million patients since its introduction. Nearly 7 million prescriptions for Byetta were dispensed between April 2005 and September 2008. In 2010 Byetta sales were over $500 million. Byetta Thyroid Cancer Lawsuits and Byetta Pancreatic Cancer Lawsuits are in the process of being reviewed and filed as recent scientific evidence indicates that the injectable diabetes drug, Byetta (Exenatide), may cause an increased risk of Thyroid Cancer and Pancreatic Cancer. Early detection of both type of cancer is essential to preventing the cancer spreading and survivingc cancer. In November 2009, the FDA revised the prescribing information for Byetta to include information on reported cases of acute pancreatitis in patients using this drug. Below is information from the FDA regarding Byetta safety warnings. Amylin Pharmaceuticals Inc, is being required to conduct six post-marketing studies (Postmarketing Requirements [PMRs]) to help further define the mechanism, incidence, and risk factors for the development of acute pancreatitis, including hemorrhagic and necrotizing pancreatitis, associated with the use of Byetta, as well as to explore a potential signal of a serious risk of thyroid cancer and pancreatic cancer. Texas Diabetes Drug Attorney, Jason Coomer, commonly works with other lawyers throughout the nation including National Pancreatic Cancer Lawyers, International Byetta Pancreatic Cancer Lawyers, Chicago Byetta Pancreatic Cancer Lawyers, Boston Byetta Pancreas Cancer Lawyers, New York Byetta Pancreatitis Attorneys, California Diabetes Drug Pancreatic Cancer Attorneys, Houston Byetta Cancer Lawyers, Florida Diabetes Drug Pharmaceutical Lawyers, Dallas Byetta Cancer Death Lawyers, and other Texas Dangerous Drug Claim Lawyers. By sharing information and working together, his law firm and other firms throughout the nation and the world are able to provide better representation for there clients. The U.S. Food and Drug Administration today acted on new safety information about possible kidney function problems, including kidney failure, in patients taking Byetta (exenatide), a drug used to treat Type 2 diabetes. From April 2005 through October 2008, the FDA received 78 reports of problems with kidney function in patients using Byetta. Some cases occurred in patients with pre-existing kidney disease or in patients with one or more risk factors for developing kidney problems. Nearly 7 million prescriptions for Byetta were dispensed between April 2005 and September 2008. The 78 cases represent a small percentage of the total number of patients using the drug to control blood sugar (glucose) levels. The most common side effects associated with Byetta include nausea, vomiting, and diarrhea. These side effects may have contributed to the development of altered kidney function. Kidney malfunction can result in a build-up of waste products in the blood, leading to serious illness or life-threatening conditions. ?Health care professionals and patients taking Byetta should pay close attention to any signs or symptoms of kidney problems,? said Amy Egan, M.D. M.P.H., of the Division of Metabolism and Endocrinology Products at the FDA?s Center for Drug Evaluation and Research. ?Patients also should be aware that problems with kidney function could lead to changes in urine color, frequency of urination or the amount of urine, unexplained swelling of the hands or feet, fatigue, changes in appetite or digestion, or dull ache in mid to lower back.? Patients who experience any of these symptoms should immediately discuss them with their health care professional. [11/02/2009] FDA has approved revisions to the drug label for Byetta (exenatide) to include information on post-marketing reports of altered kidney function, including acute renal failure and insufficiency. Byetta, an incretin-mimetic, is approved as an adjunct to diet and exercise to improve glycemic control in adults with type 2 diabetes mellitus. From April 2005 through October 2008, FDA received 78 cases of altered kidney function (62 cases of acute renal failure and 16 cases of renal insufficiency), in patients using Byetta. Some cases occurred in patients with pre-existing kidney disease or in patients with one or more risk factors for developing kidney problems. From April 2005 through September 2008, more than 6.6 million prescriptions1 for Byetta were dispensed. Therefore, the 78 reported cases of altered renal function represent a small percentage of the total number of patients who have used the drug. Some of the 78 patients reported nausea, vomiting, and diarrhea--the most common side effects associated with Byetta in clinical trials. These side effects may have contributed to the development of altered kidney function in the reported cases. Information regarding post-market reports of acute renal failure and insufficiency, highlighting that Byetta should not be used in patients with severe renal impairment (creatinine clearance <30 ml/min) or end-stage renal disease. Recommendations to healthcare professionals that caution should be applied when initiating or increasing doses of Byetta from 5 mcg to 10 mcg in patients with moderate renal impairment (creatinine clearance 30 to 50 ml/min). Recommendations that healthcare professionals monitor patients carefully for the development of kidney dysfunction, and evaluate the continued need for Byetta if kidney dysfunction is suspected while using the product. Information about kidney dysfunction in the patient Medication Guide to help patients understand the benefits and potential risks associated with Byetta. 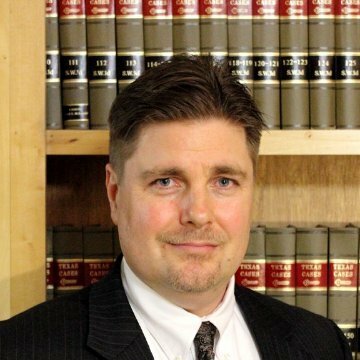 Texas Pancreatic Cancer Attorney, Jason Coomer, commonly works with other lawyers throughout the nation including Chicago Byetta Pancreatitis Lawyers, Boston Byetta Thyroid Cancer Lawyers, New York Byetta Cancer Attorneys, California Diabetes Drug Pancreatitis Attorneys, and Houston Byetta Cancer Lawyers,. By sharing information and working together, his law firm and other firms throughout the nation are able to provide better representation for their clients. If you have lost a loved one from Pancreatic Cancer or have suffered acute pancreatitis, hemorrhagic pancreatitis, accute necrotizing pancreatitis, or pancreas cancer; and have been using Byetta (Exenatide), please report the adverse action to the prescribing medical doctor as soon as possible. For more Byetta Pancreatic Cancer Lawsuit, Byetta Cancer Death Lawsuit, or Byetta Pancreas Cancer Lawsuit information, please feel free to contact Byetta Pancreatic Cancer Lawyer, Byetta Cancer Lawyer, and Byetta Pancreas Cancer Death Lawyer Jason Coomer a Texas lawyer, or use our online submission form.